The Polar Bear Puzzle is designed for both children and adults. 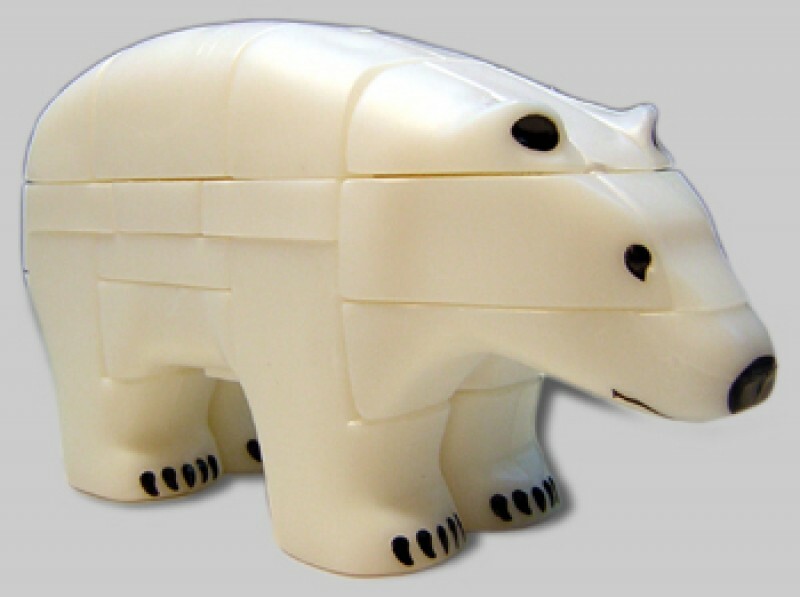 It consists of fourteen pieces that lock together to form a 3-D polar bear that is approximately 6-1/2" x 3-1/2" x 2-1/2". It is accompanied by instructions to assemble and dismantle.